Again, there is a risk of tornadoes near the Kansas-Nebraska border and into extreme northeast Colorado. 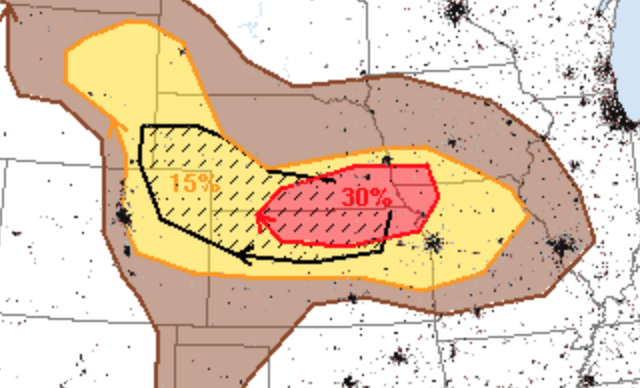 There is also the risk of large hail (giant hail in the hatch areas) late this afternoon and tonight. Magenta is a flash flood warning. Bright green = flood warning. Dark green = flash flood watch.